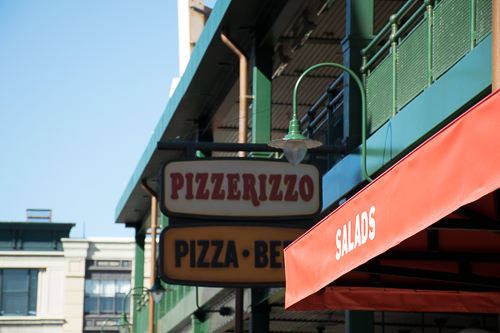 This dining venue is currently closed! 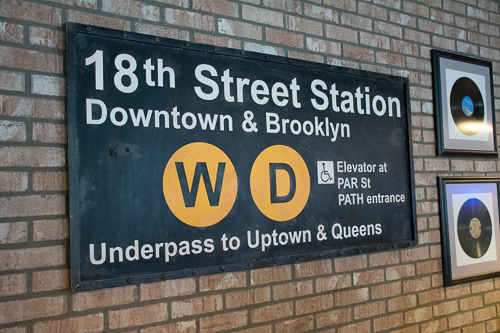 It is scheduled to re-open on Saturday, May 4, 2019. 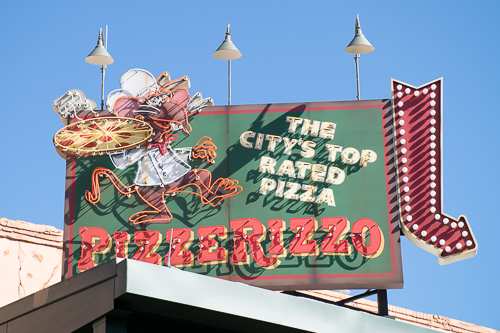 Muppet favorite Rizzo the Rat lends his name to this pizza place inspired by his apparent love of cooking (or is it just food). 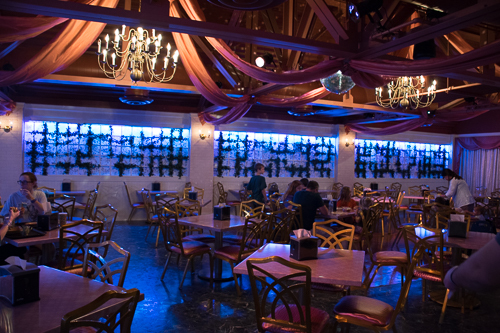 The lively rat is all over this place, although not literally--the health inspectors wouldn't approve. 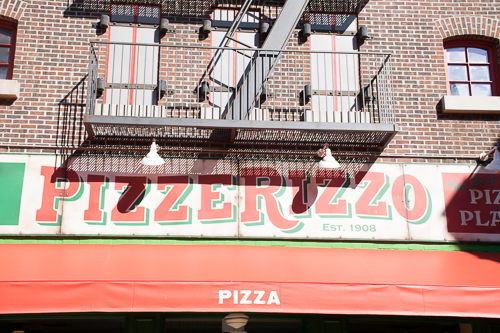 Note that in October 2018 PizzeRizzo started operating "seasonally." 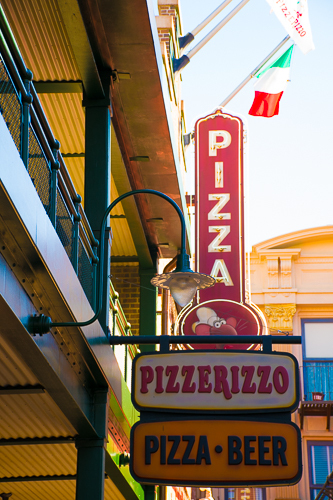 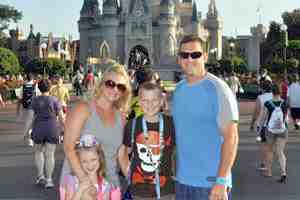 Expect it only to be open when Hollywood Studios needs extra dining capacity. 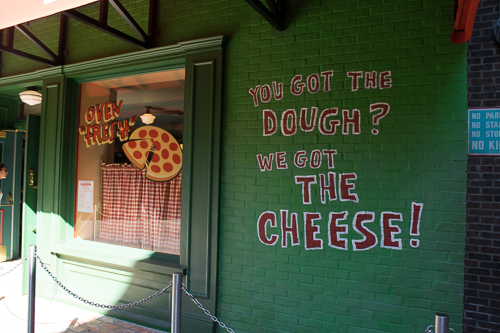 Downstairs is a typical Disney Quick Service eatery, except the decor here will be Rizzo and his friends. 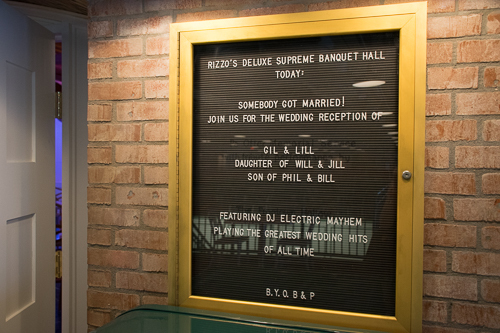 The upstairs is where it gets interesting: Rizzo’s Deluxe Supreme Banquet Hall features an ongoing wedding reception, although that's just a cover so Disney doesn't have to call it a dance party. 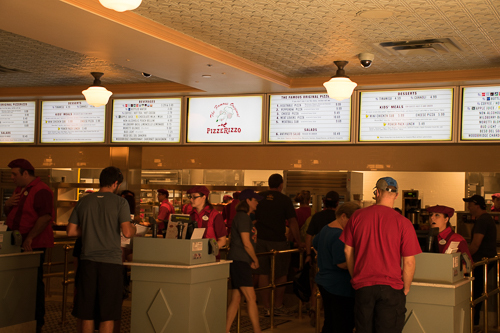 The menu itself is not much different than the Pizza Planet that formerly inhabited this space. 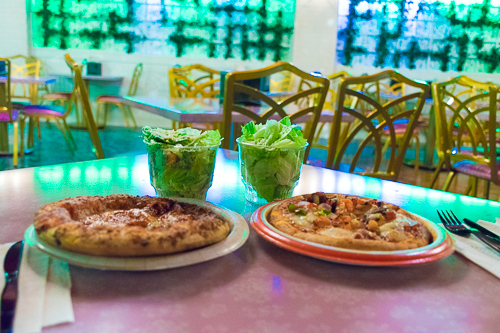 Personal pizzas, meatball subs, and and antipasto salad are featured food items.